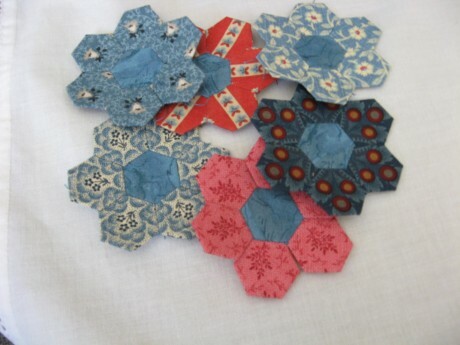 Recently I have made some miniature quilts, one of which is made from 1/2 inch hexagons. 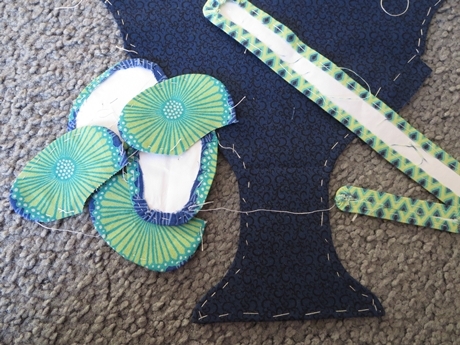 I wanted to be able to engage in some fussy cutting, so I deliberately chose a fabric which would give me plenty of opportunities to do this. 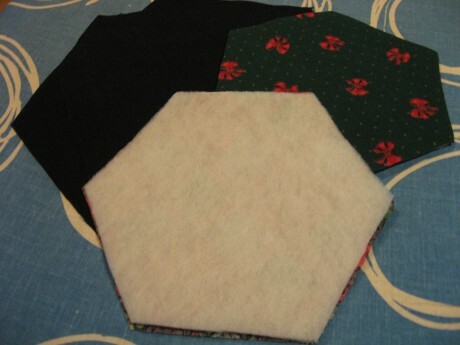 Feature fabric for fussy cut hexagons. 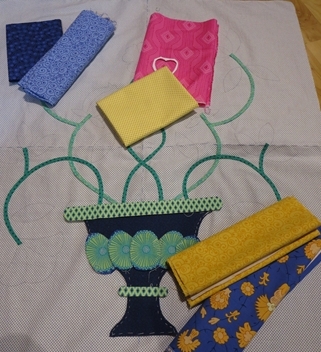 I had great fun playing with the fabric to obtain 9 different little “flowers”. A little “flower” in the making. 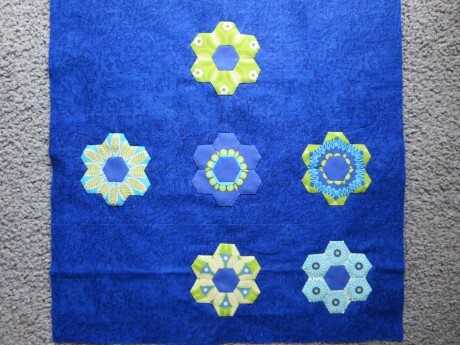 Once I had constructed 9 little flowers, I arranged them on the background fabric. 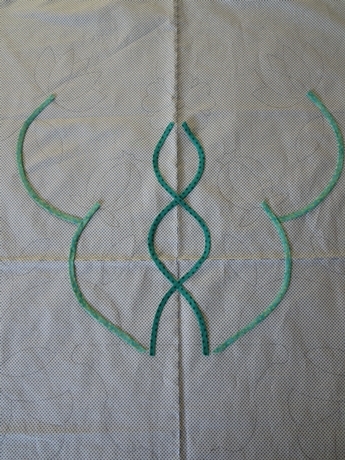 I decided to use a whole piece of fabric for the background, but I could also have pieced the background. 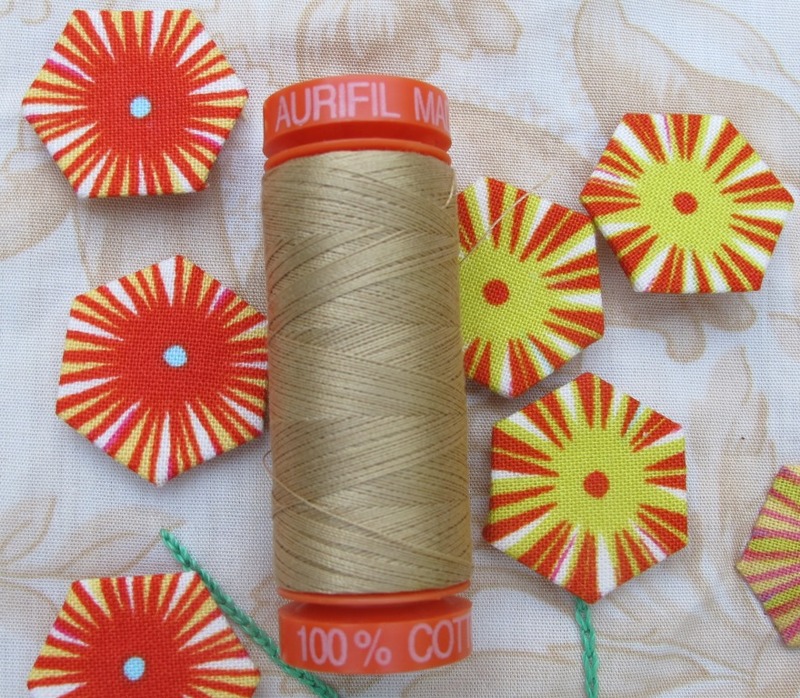 I used Aurifil Cotton Mako Ne 50 (on the orange spool) to create ‘invisible” applique stitches. 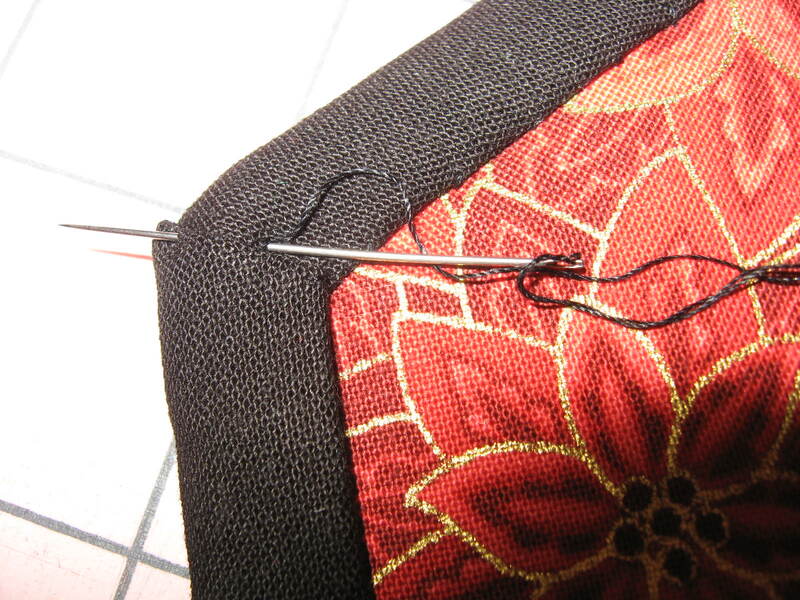 Arranging and appliqueing the flowers to the background. 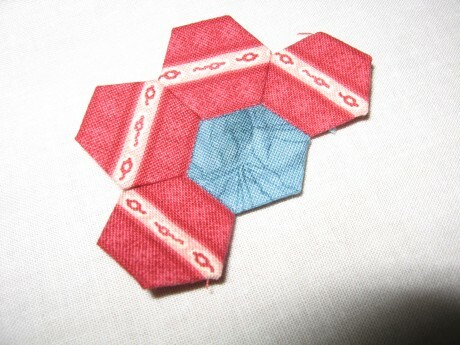 When all the flowers were in place, I machine quilted in the ditch around each one, and also quilted a small hexagon, the same size as the components of the flower (i.e. 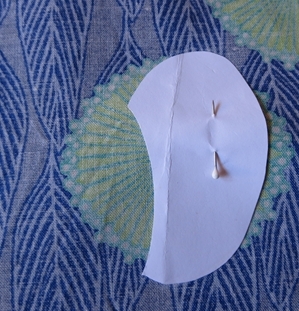 1/2 inch), in the spaces between them. 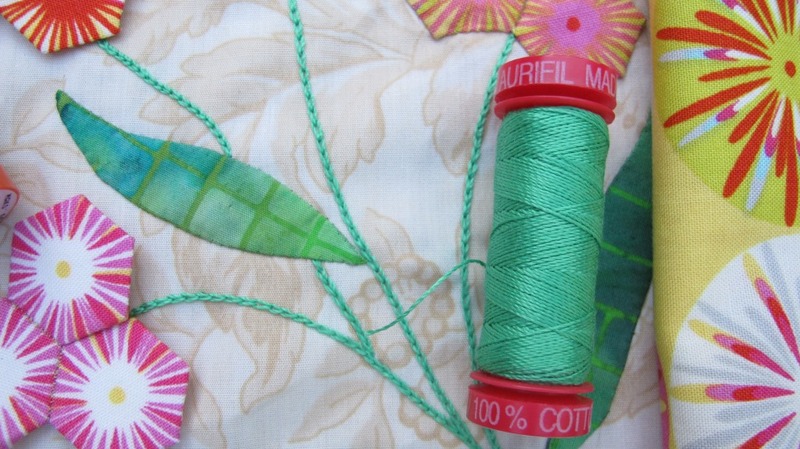 For the quilting I used Aurifil Cotton Mako Ne 40 thread (on the green spool). 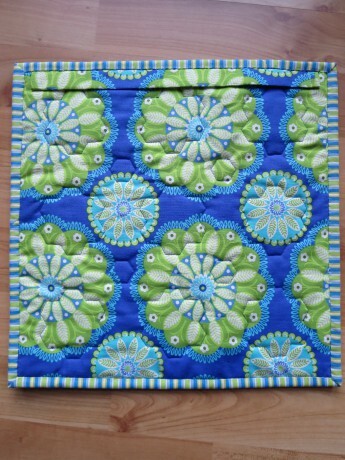 Machine quilting the mini quilt. 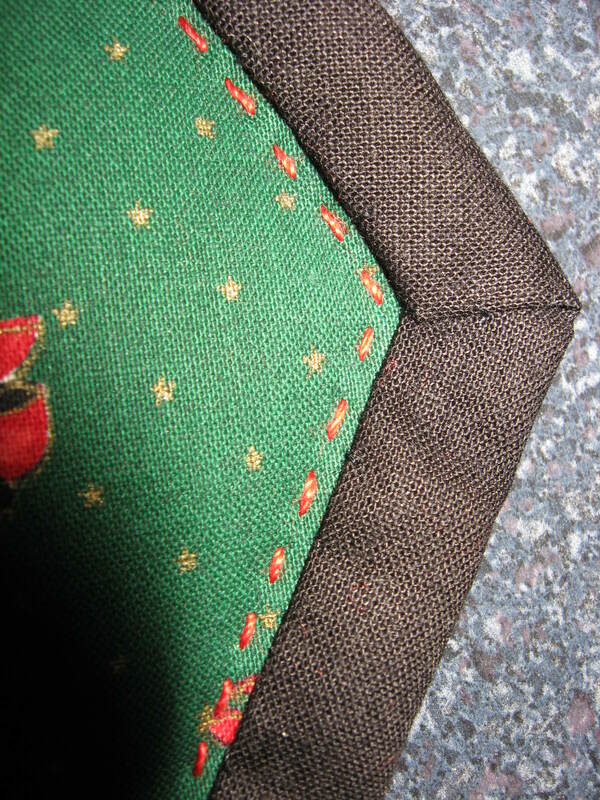 Finally, I added some stripey binding and a rod pocket for hanging the quilt. 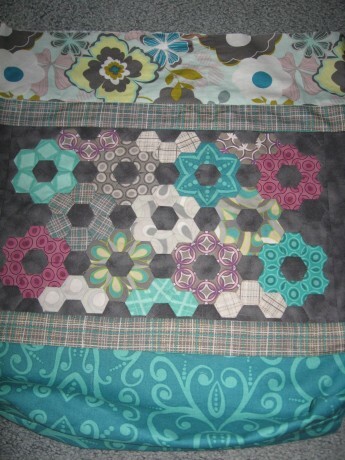 I had purchased 40cm of feature fabric, which gave me enough to make the hexagons and back the quilt (which measures 13 inches square). There is not much left over, and what does remain is very holey!! 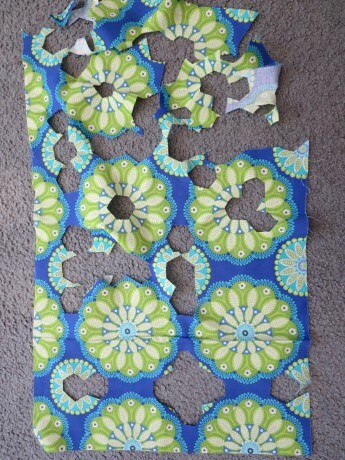 Not much fabric left over. 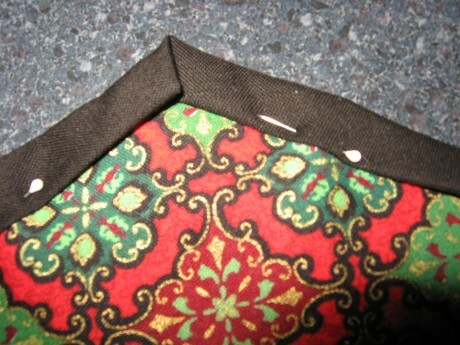 Small rod pocket for hanging the quilt. Ta Da! 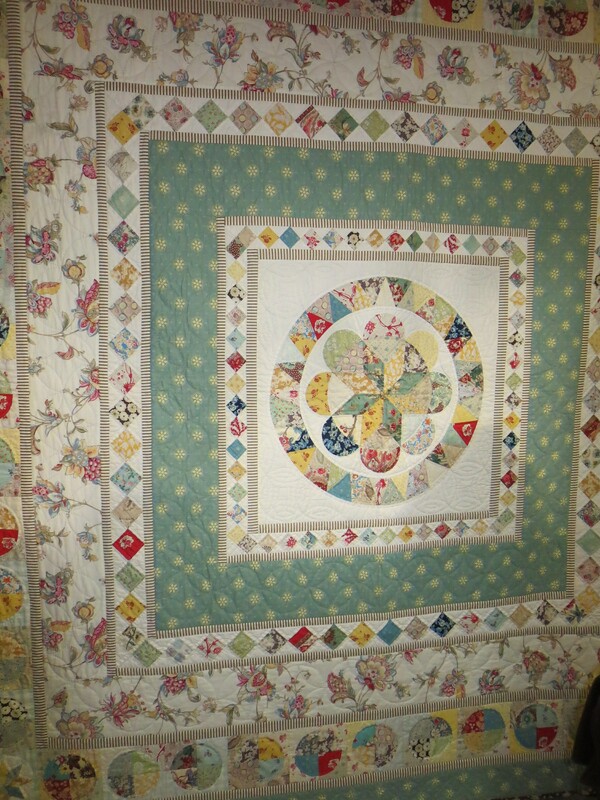 My miniature quilt is finished and ready to display. 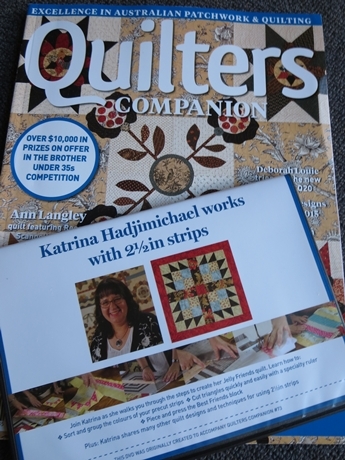 I have recently attended two quilt exhibitions, each one a treat. 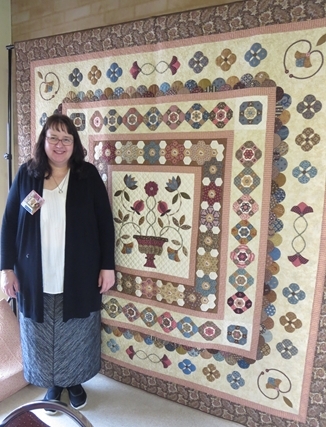 The first was “Quilts in the Barn” and the second “Eastern Palliative Care Quilt Show”. 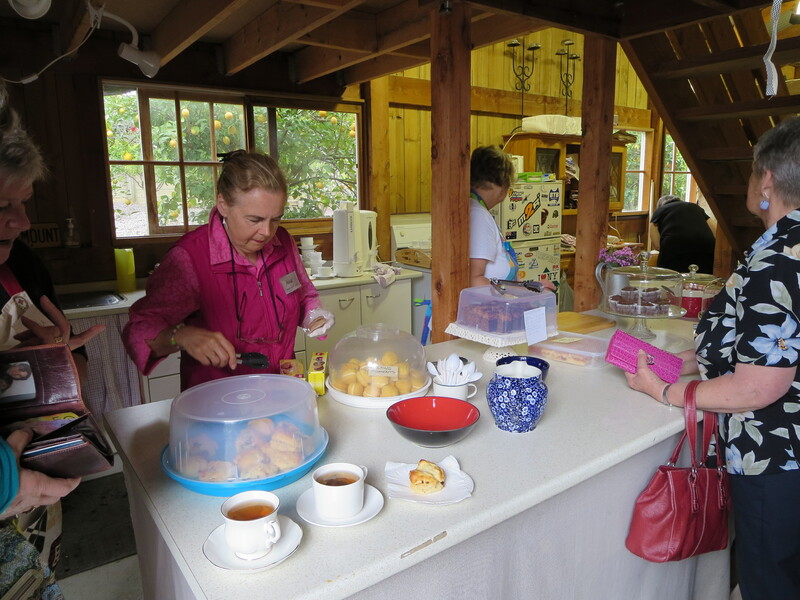 Each is held annually during spring in the Eastern suburbs of Melbourne, and each is a fund-raiser for very worthwhile causes, breast cancer research and Eastern Palliative Care respectively. 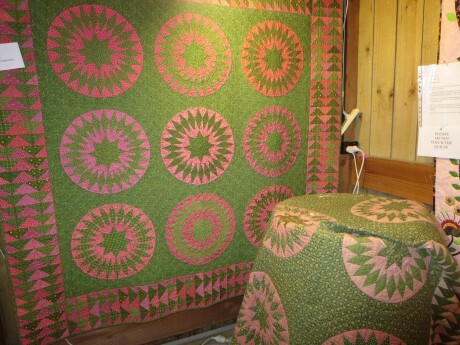 In this post I will share some photos of Quilts In the Barn. (Permission given). My friend and I arrived right on opening time which meant we avoided a long queue. Before very long things became very busy, especially so later in the morning when a coach-load of eager ladies arrived!! 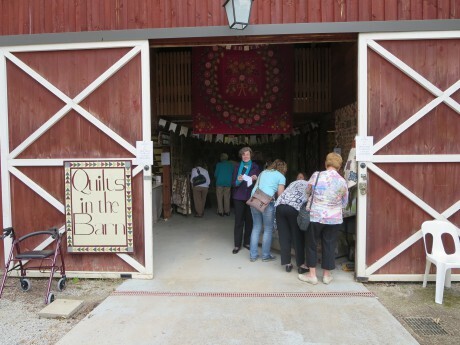 Entrance to Quilts in the Barn. 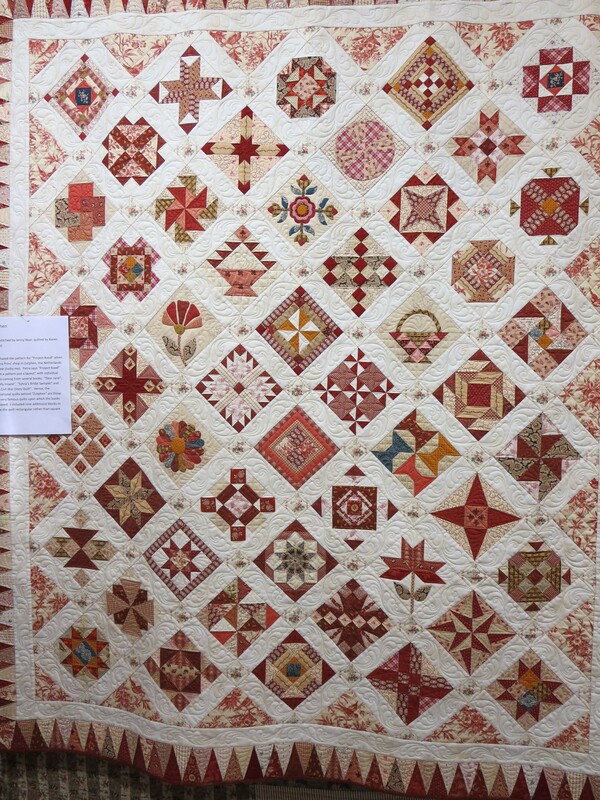 This magnificent quilt was hanging in the entrance. It is called “Homage to Sallie Anne” and was designed by Di Ford-Hall. This version was made by Helen Hayes. (Should I confess? …I too have a Sallie Anne lurking amongst my UFOs). 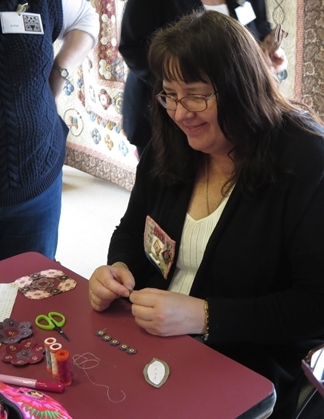 One of the guest tutors/ exhibitors was Brenda Papadakis of Dear Jane fame. 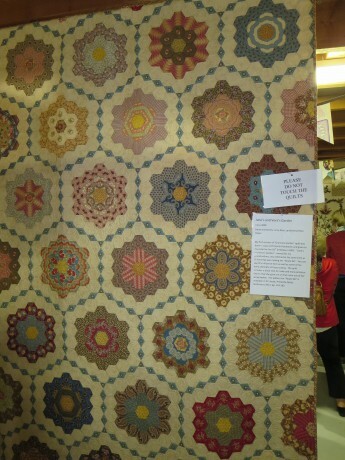 Understandably there were some Dear Jane style quilts. 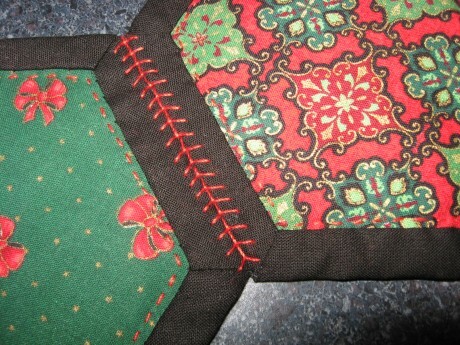 “Zutphen” made by Jenny Bear. 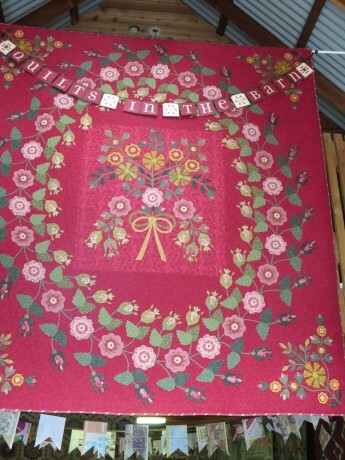 Another Di Ford-Hall design, this one made by Jenny Bear and called “Jane Austen in Texas”. 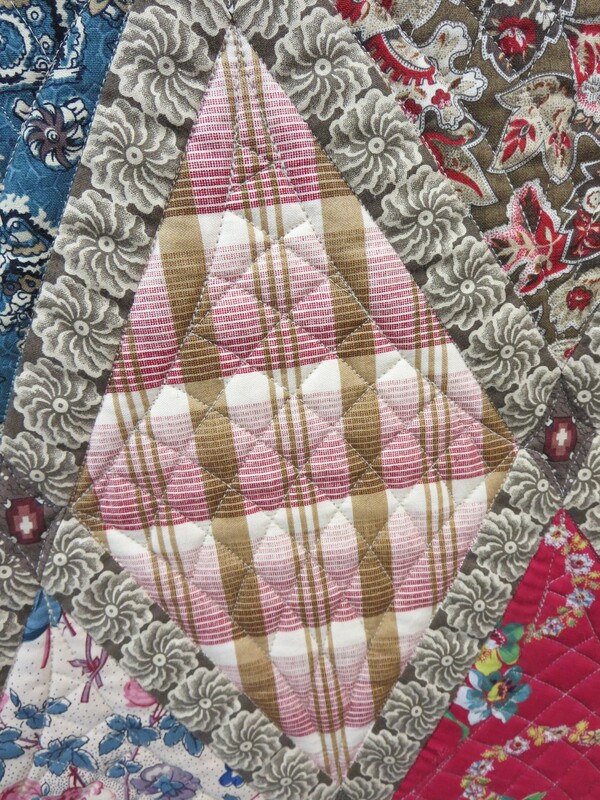 Here is a close up showing the fussy cut borders and quilting. 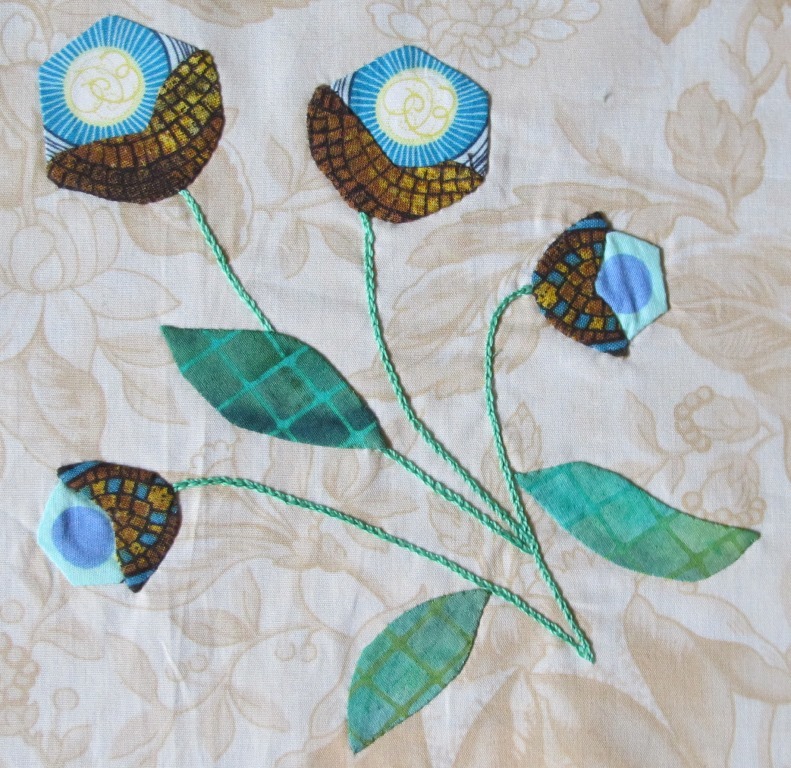 Close up of “Jane Austen in Texas”. 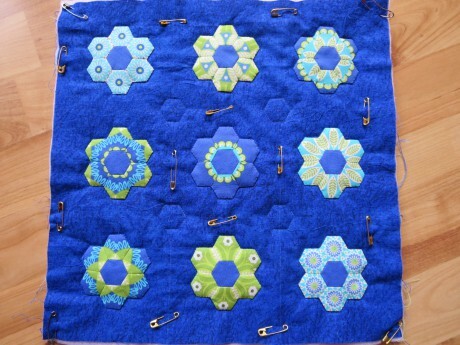 There were quilts made from hexagons. This is Jenny Bear’s Jane’s and Vera’s Garden. 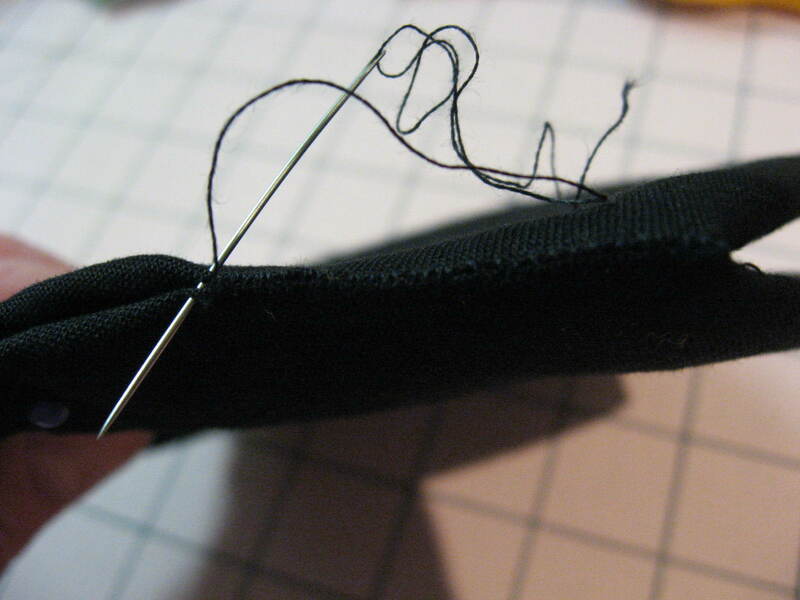 Lots of fussy cutting here! 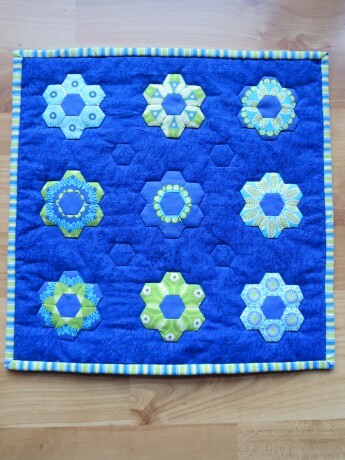 This is a miniature hexagon quilt, stitched and quilted by hand by Marion Edwards. 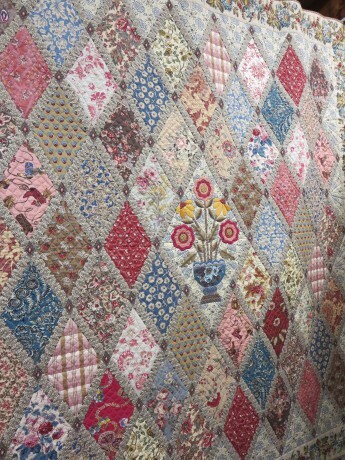 This antique quilt caught my eye. 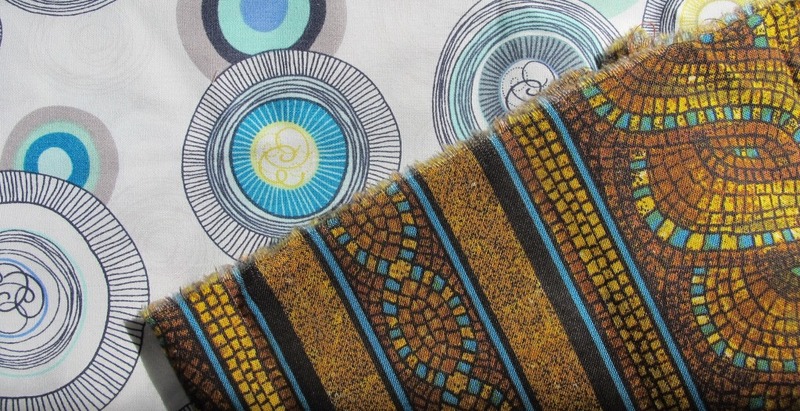 These quilts were made by Michelle Yeo. 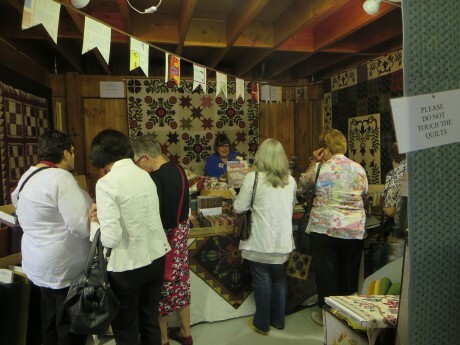 The Quilted Crow girls Leonie and Deirdre were there with their shop. They also had copies of their recently released second book. 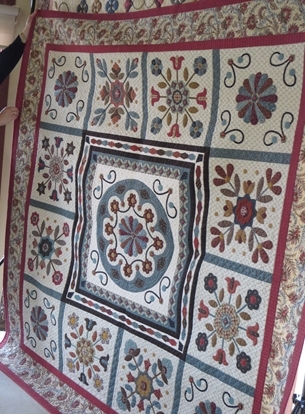 This is one of the quilts which is featured in it. All this viewing and shopping is thirsty work and the bevy of helpers in the cafe did a great job! Such exhibitions involve a great deal of preparation and work by many dedicated people, but provide a wonderful service and inspiration to us all. 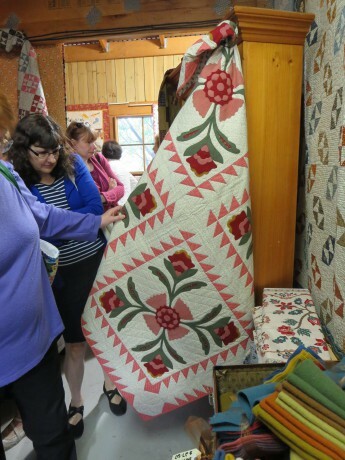 (Quilts in the Barn raised $16,000 this year). Well done!! 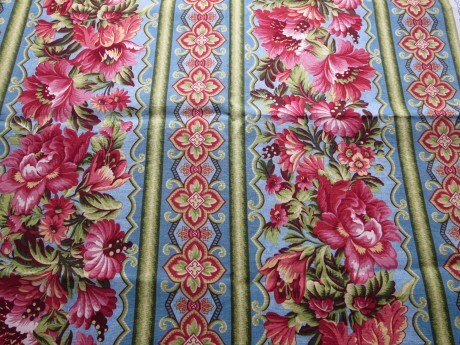 I purchased a lovely piece of border print fabric for the top and bottom borders. 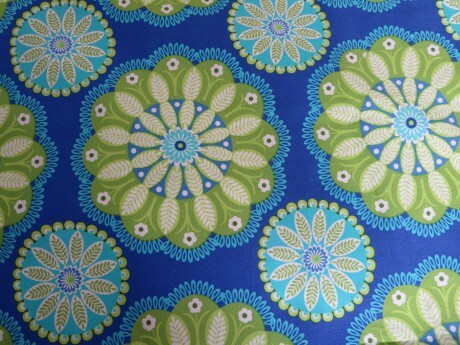 Border print fabric “Pride and Purpose” by Kaye England for Wilmington. I found some jazzy red handles which are perfect!! 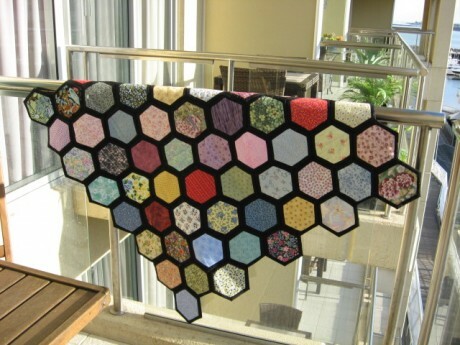 I was able to utilise many fabrics from my stash to construct the hexagons for the centre feature. 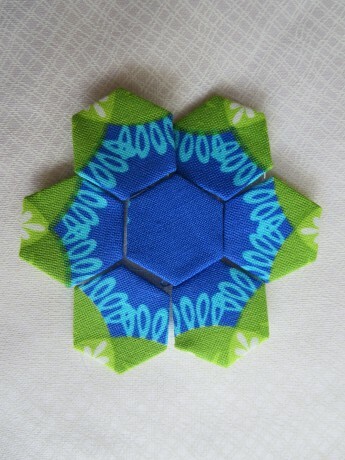 The hexagons are quite small, only 1/2 an inch. 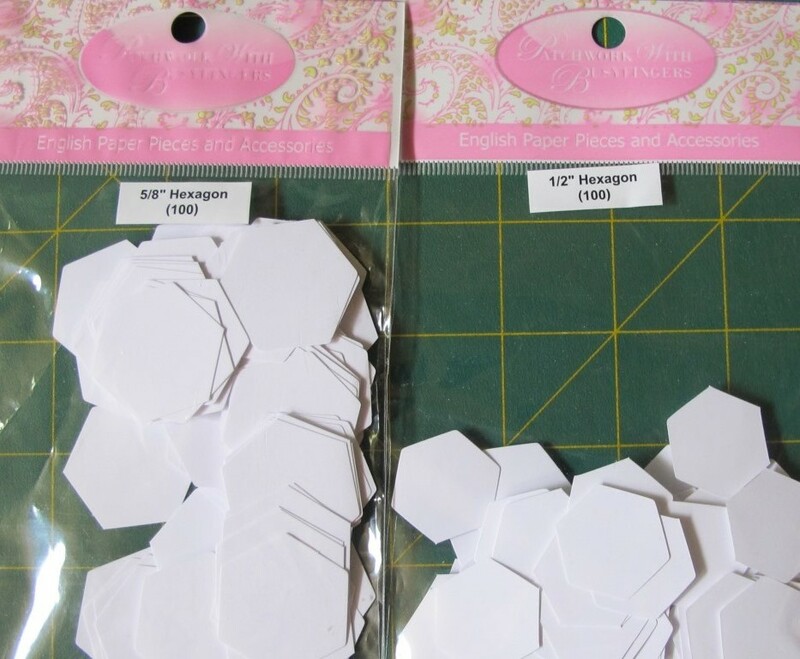 Fussy cutting some of the hexagons. 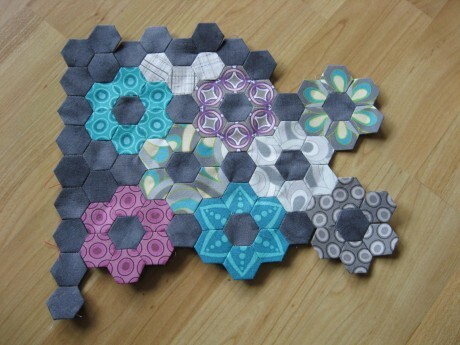 The collection of hexagon “flowers” grows. 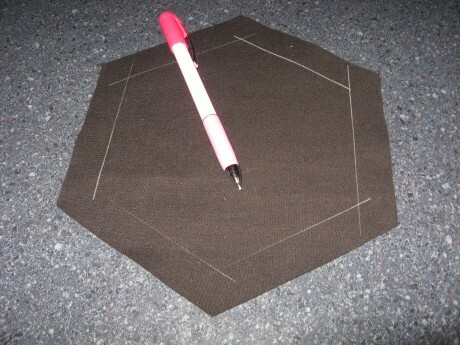 154 hexagons are required to make this panel. I’m nearly there! 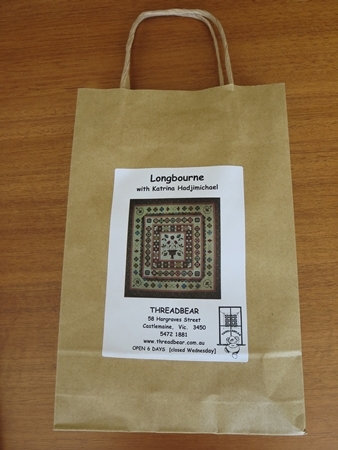 While I was beavering away on this project, my friends in a friendship group decided to make a bag, using this pattern, for one of our members celebrating a “big O” birthday. 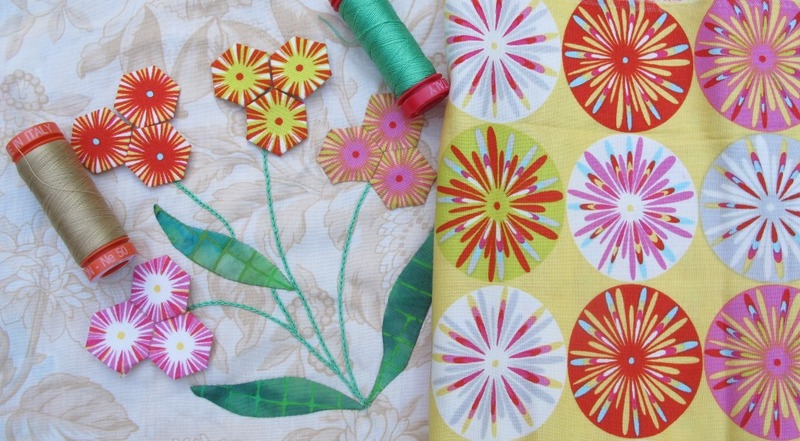 A group of us shopped together to select fabric. 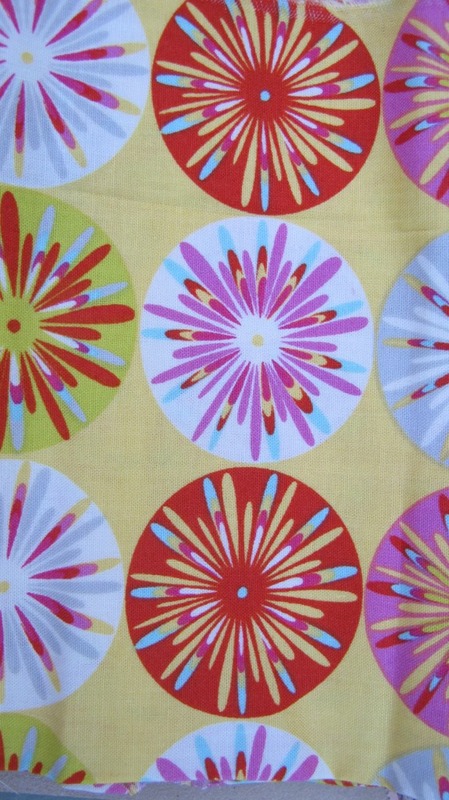 Our choice this time was quite different from the fabrics I’ve used. 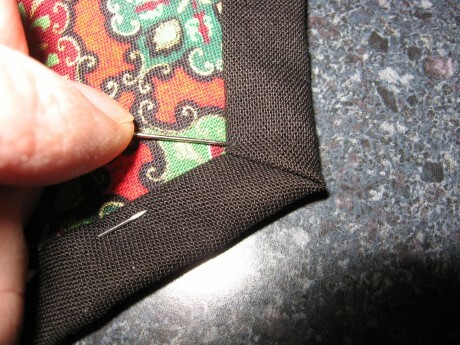 Various members of the group completed different sections of the bag. 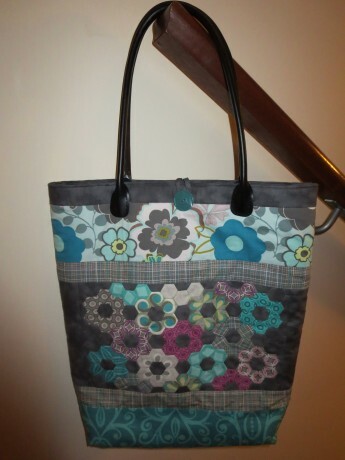 After much furtive activity and secret conversations, the birthday bag was completed and presented to our birthday girl. 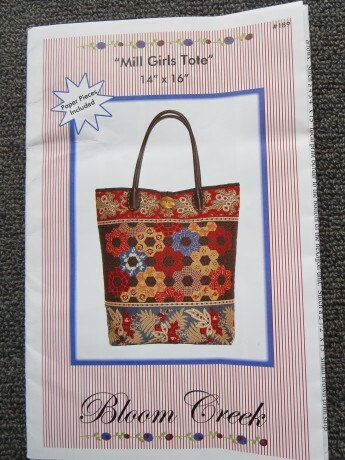 As for my bag….well I did confess at the outset that I am not good at completing bags. 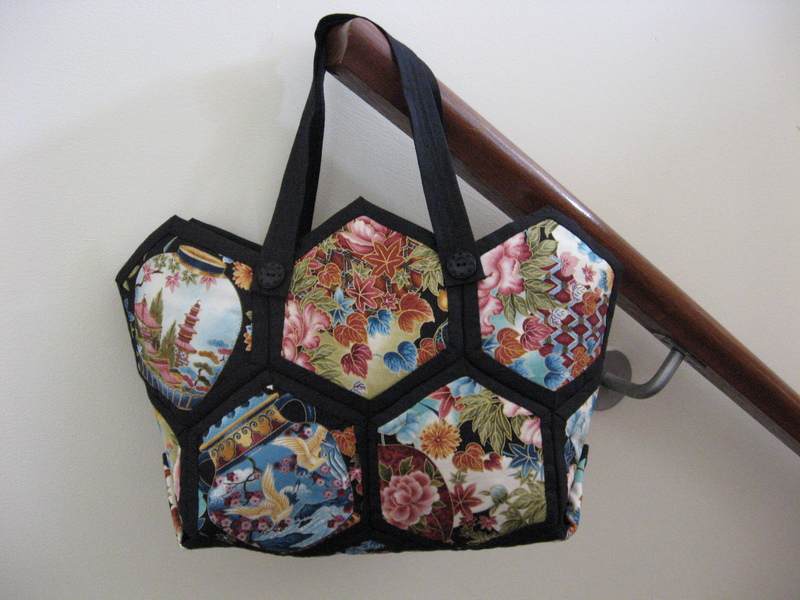 And the decision to make another hexagon panel for the bag back (rather than using a plain panel as in the pattern) will slow me down. 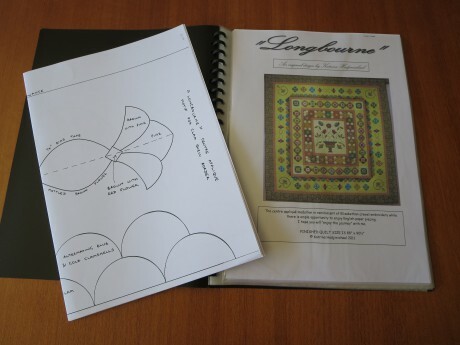 However, I’m now re-enthused and keen to add this to my list of completed projects for 2014! 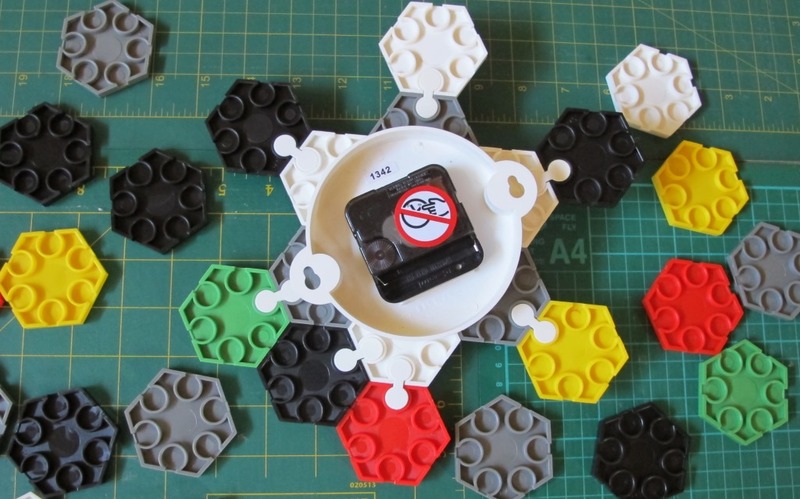 Time to fussy cut some more hexagons….. 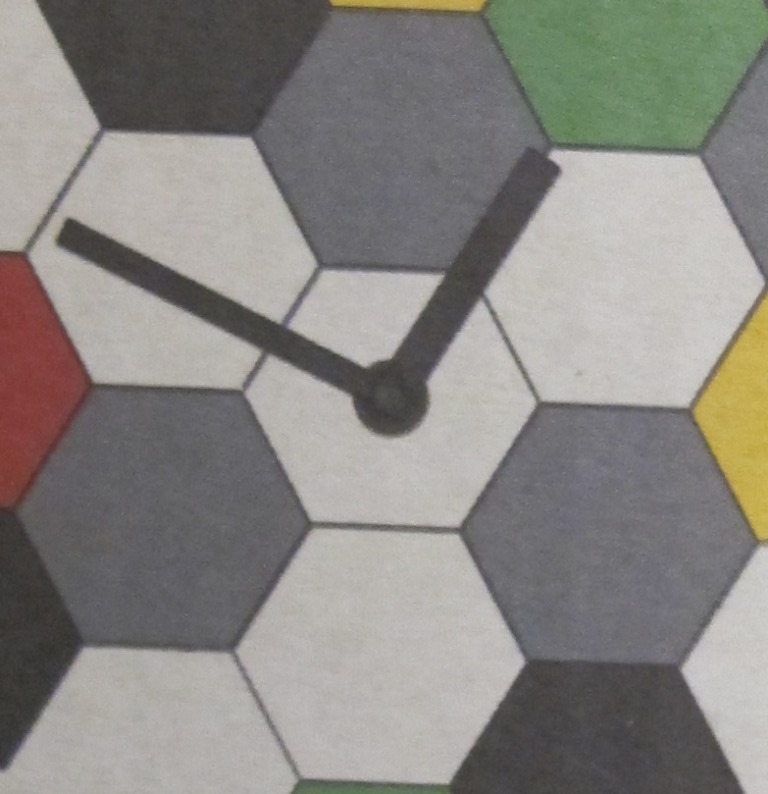 I fought the Hexagons as long as I could. 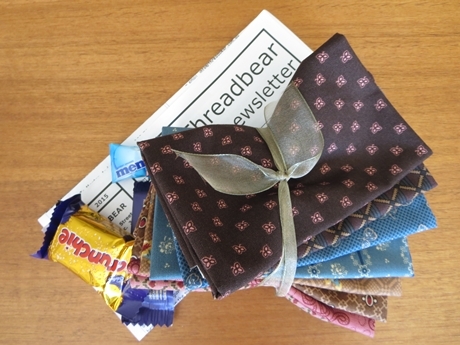 I was tempted to join the ‘hexi-harem’ then, but I fought the urge. 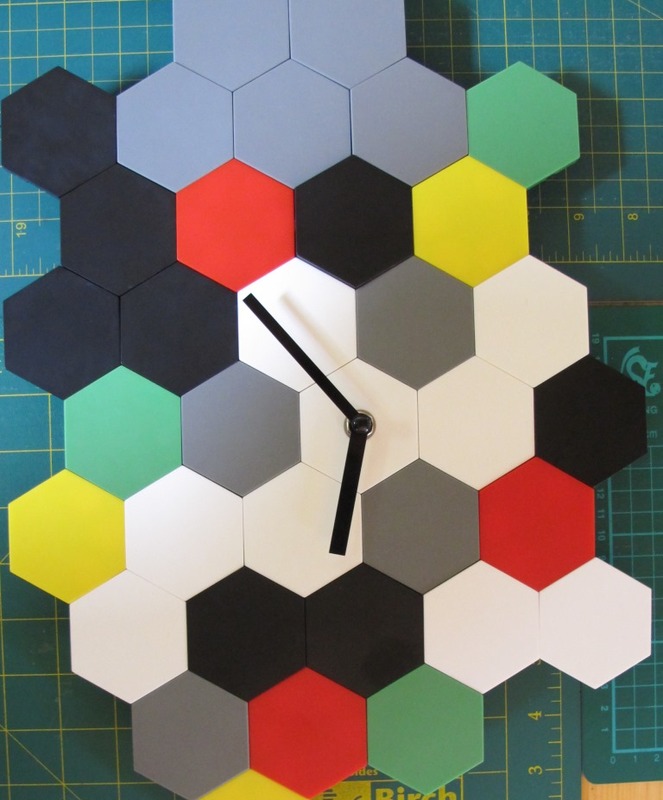 But then, I began seeing hexagons EVERYWHERE. It seemed the little, pretty, multi-sided papers were all around me. 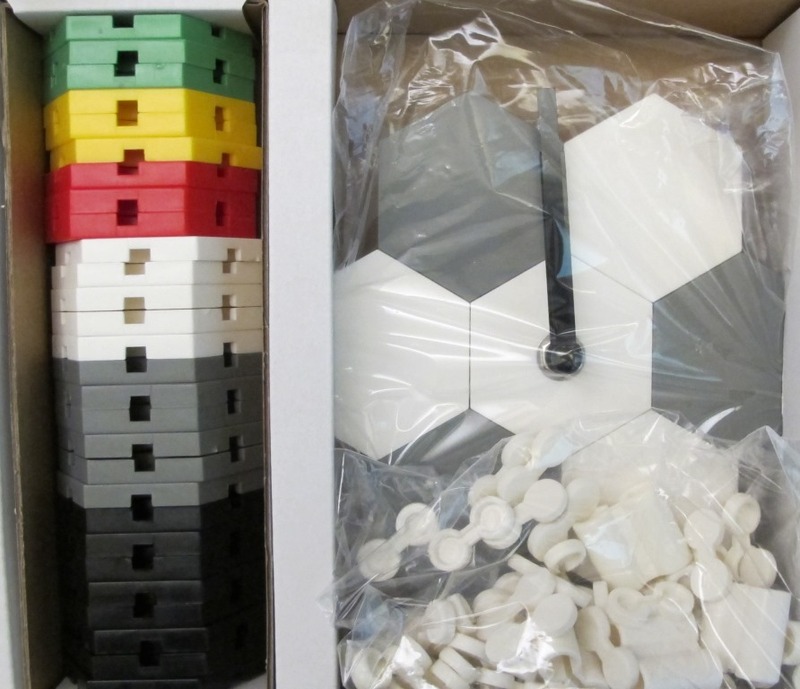 in that Swedish furniture store that uses hexagon shaped tools to fit hexagon hardware! 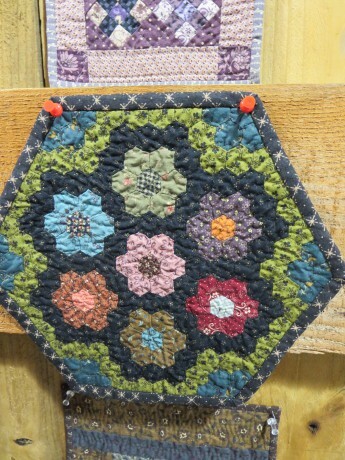 Back to that in a moment…..
My stitching friendship group had produced two beautiful versions of Anne Sommerlad’s Hanazono quilt. 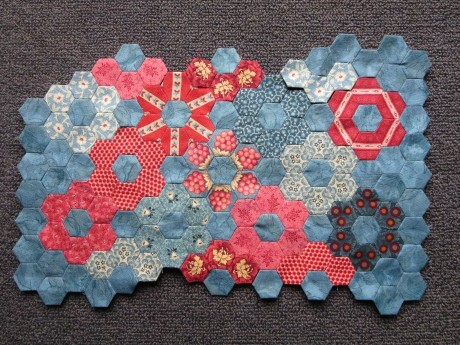 This quilt is made of 25 blocks, each using hexagons as flowers. After getting this pattern, I began to ‘see’ hexagons in every piece of fabric I owned. 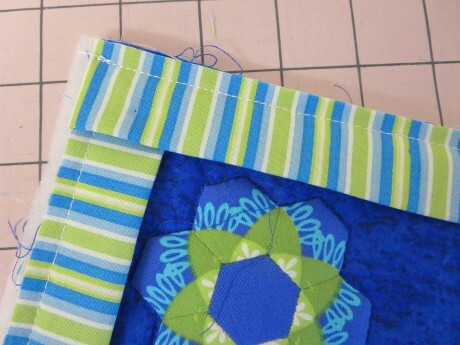 So far I have finished 2 blocks. 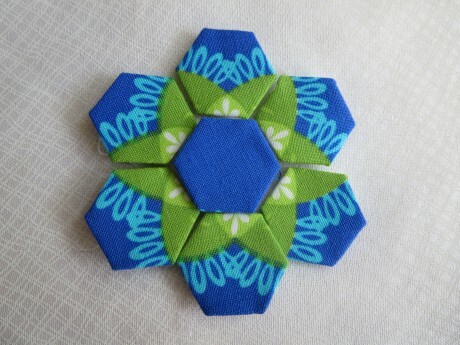 I am doing the appliqué and joining of hexagons with the fine Aurifil Mako 50wt thread. 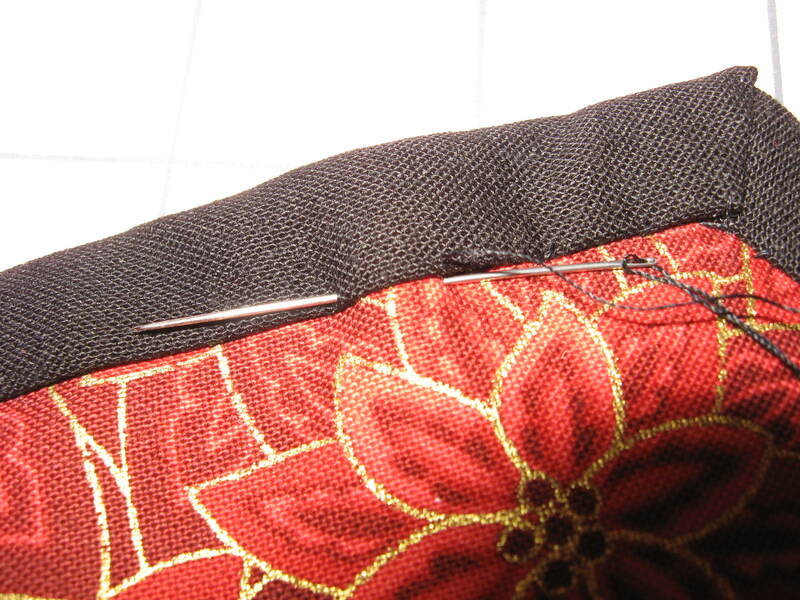 I am doing the embroidered stems with gorgeous Aurifil Mako 12wt thread. And then I saw this in that Swedish Furniture Store. where time always flies….’cause I’m having fun! 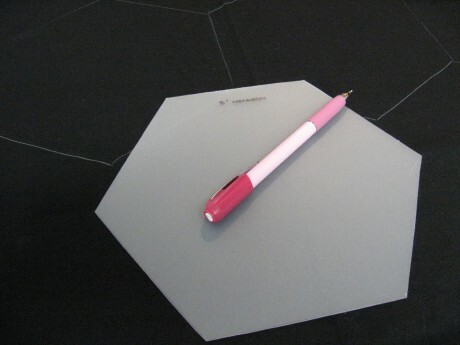 Follow our Blog to keep up with all the great projects my colleagues work on…… as I convince them all to become members of the ‘Hexagon Harem’.